Accruals: Further accruals are possible. The collection was assembled over time by Joe Pollack and donated to the Media Archives after his passing. The first accession was donated by Ann Lemons Pollack on April 17, 2012. Conservation notes: All items placed into archival boxes & acid-free folders. Metal fasteners removed and replaced with vinyl-coated paperclips. Clippings removed from binders with original order maintained. Some of the early dated clippings books are laminated. The papers of Joe Pollack (1931-2012) consists of clipping books of published articles, correspondence, caricatures along with personal and biographical materials. The dated material covers the years 1947-2007 with the bulk of the material ranging from 1968-1995. The clipping books are organized chronologically by binder. A native of Brooklyn, New York, Joseph Weisman Pollack graduated from the University of Missouri, School of Journalism in 1951. Early in his St. Louis journalism career, Pollack was a sports writer for the Globe-Democrat, and then Public Relations Director for the football Cardinals. He worked at the St. Louis Post-Dispatch from 1972 to 1995. He wrote book, theater and movie reviews, restaurant and wine reviews, feature articles and columns. He also freelanced for a number of publications and authored several books. After his retirement in 1995, Pollack worked with his wife Ann Lemmons Pollack to continue writing about food and wine blog with her. Pollack was an active member of the St. Louis Newspaper Guild and served as president of the St. Louis chapter. He was on the Advisory Board for The Center for the Humanities at Washington University. The Writer in Politics, Edited by William Gass and Lorin Cuoco. 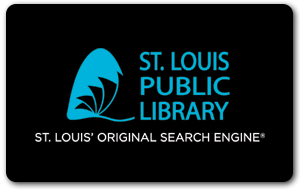 Literary St. Louis: A Guide, Edited by William Gass and Lorin Cuoco. 6/- [framed] Caricature, [Pollack holding fork and knife], n.d.